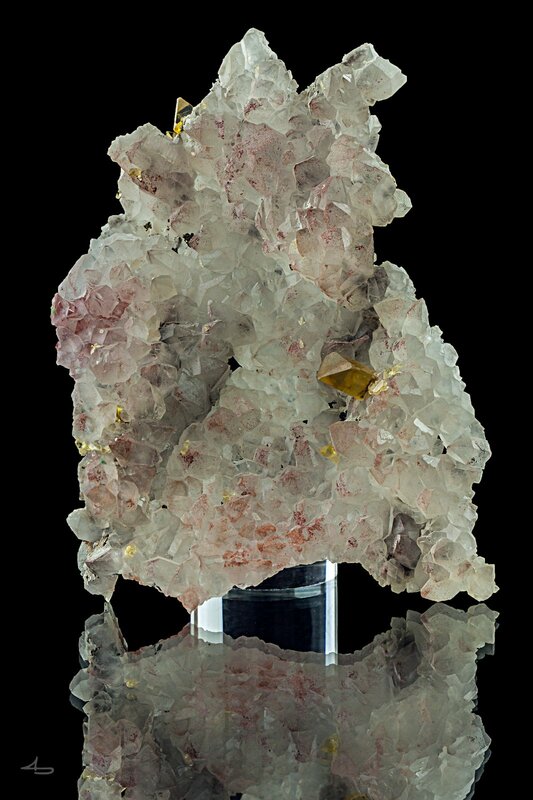 Description: Remarkably clear golden yellow baryte crystals to 10 mm on a quartz matrix. I find the thin plate of matrix fascinating too, as the epimorphic underside shows the very distinct shape of cubic fluorite. The baryte has grown on both sides of the quartz plate, which must have taken place after the fluorite had been dissolved away. Dark specs of chalcopyrite and a touch of red from a hematite layer adds further contrast to the specimen.